Human plasma contains platelets, a natural source of proteins called growth factors.These growth factors play an important part in the body’s healing response to injury. Platelet-rich plasma is blood that has been enriched with a high concentration of platelets. ​This plasma is injected into a wound or surgical site to accelerate tissue healing and the formation of new cellular growth. PRP is created by separating platelets from a blood sample, increasing their concentration, and mixing them back into the extracted plasma, making it 5 to 10 times richer in platelets. Because of its ability to accelerate tissue regeneration and growth, it’s natural that Platelet-Rich Plasma would attract the attention of cosmetic surgeons. Increasingly, it has been used for facial cosmetic enhancement as well as hair restoration. PRP restores thinning hair by stimulating inactive and newly implanted hair follicles to an active growth phase. It is a good option for patients who are not candidates for transplant surgery, or patients who have recently undergone a hair transplant. PRP therapy is not appropriate as a stand-alone treatment for patients who have no hair; instead, it works best for male and female patients who are experiencing thinning hair. PRP is created from your own blood, making PRP therapy a very safe procedure. To begin, your blood will be drawn and your high-concentration PRP will be created using centrifugation, a high-velocity spinning process that separates and extracts the platelets. Scalp Stimulation: After topical numbing anesthesia is applied, the scalp is then stimulated with micro-needling to cause trauma to the dermis. This induces a healing process, which naturally calls growth repair cells into action. 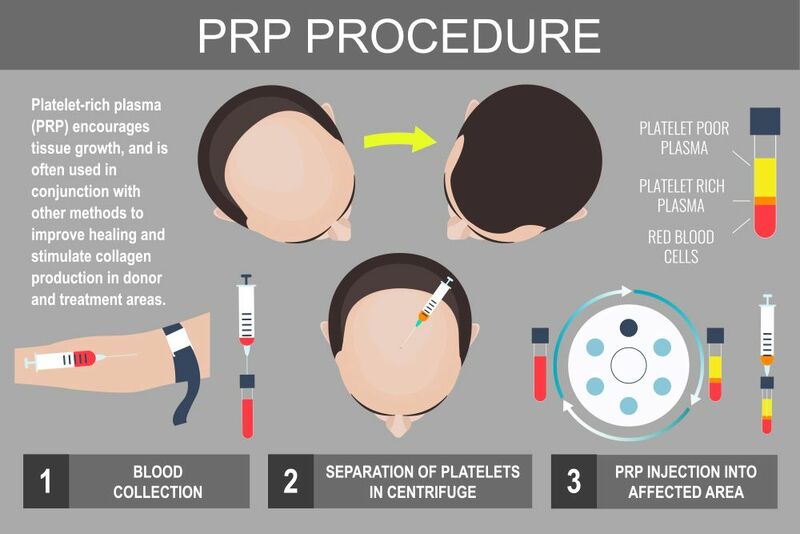 PRP Injections: The highly-concentrated PRP is strategically injected into areas of the scalp where hair loss is occurring, and also applied topically. No aftercare is needed, and you can return to your activities immediately. Individual results will vary, but preliminary studies show PRP does halt and reverse hair follicle thinning in many patients. The earlier treatment is initiated after hair loss begins, the better the results. Patients typically begin to notice a difference in 90 days, with full results becoming evident after a year. 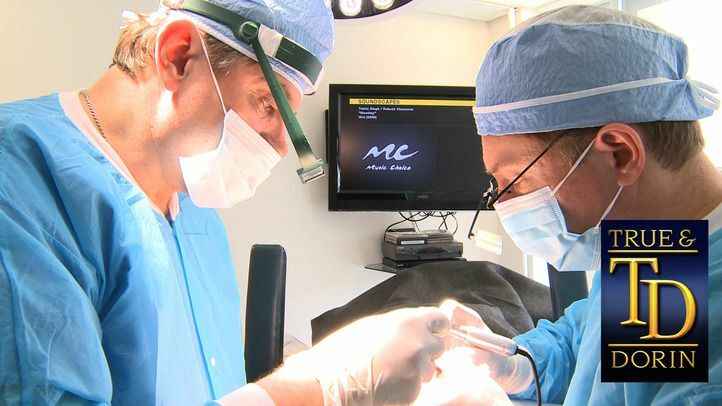 The procedure is most effective in cases of androgenetic alopecia, or hereditary male and female pattern balding. It is also effective for patients with alopecia araeta and similar diseases that cause the immune system to attack hair follicles. If you would like to find out if you a candidate for PRP treatment, send us a message today, or call us at (866)629-0866 and schedule an evaluation with Dr. True or Dr. Dorin.